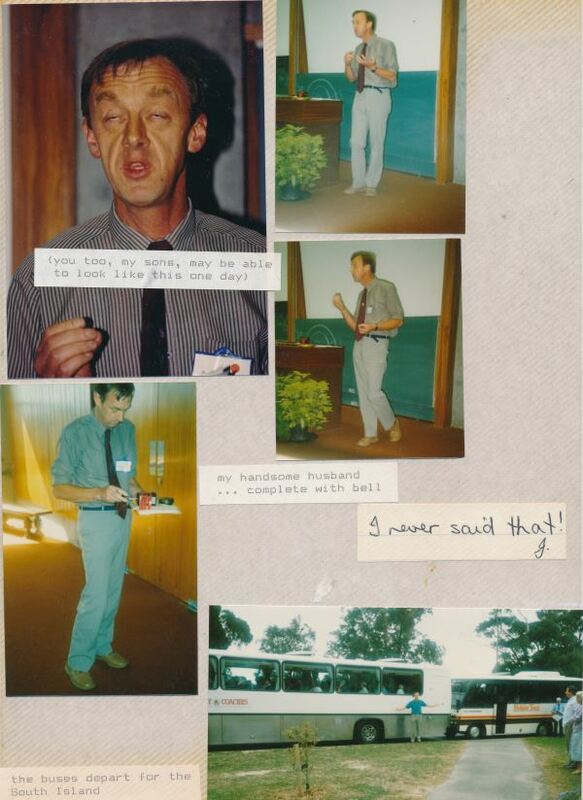 Massey University, Palmerston North, 12th – 16th February 1989. 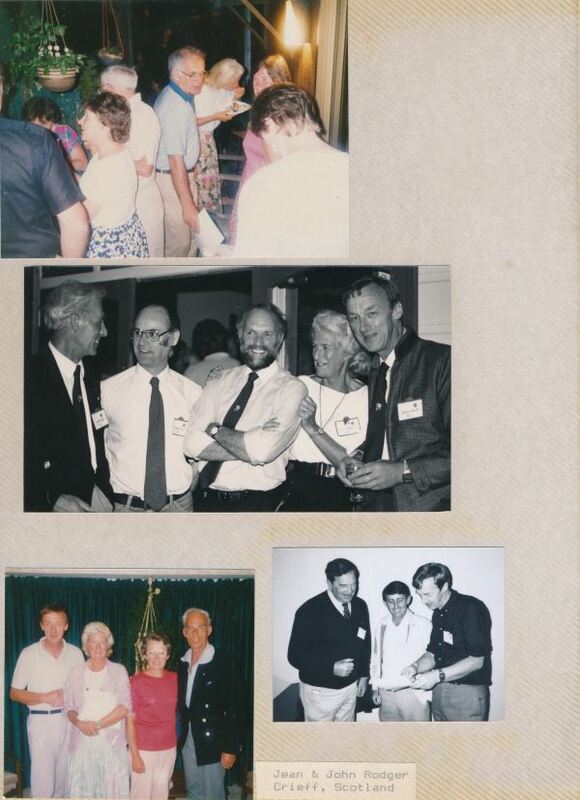 Several NZ vets attended the first International Sheep Vet Congress in Edinburgh in June 1985. These included Bruce Farquharson, Robert Bruce and me (Bob Gumbrell). We put forward a case to have the next one in NZ and this was accepted. Bruce was the driving force and was the convenor until about 1987 when he moved to Australia. I took over the role of Convenor with Neil Bruère (who had been made president for the second time of the Sheep and Beef Veterinarians Society NZVA to help give the congress a high profile), Robert Bruce, Tony Day, Dave Quinlivan and Dave West on the organising committee. Everyone worked very hard to assemble a good international programme – no professional conference organisers to assist back then. Dave West assisted by Neil Bruère was the scientific programme convenor and was very rigorous in this role. Dave & Neil found the scientific programme a bit of a challenge as they wanted to include many overseas veterinarians but did not have proffered papers as such to work with. These were introduced at the next (3rd) international congress and have now become the norm. They started the congress with a focus on sheep health programmes and then moved to more specific issues. There was also a poster display. In hindsight we were very naive and inexperienced (me at any rate) – the industry sponsors came to us but possibly with some prodding from Dave Quinlivan who was in charge of sourcing funds! MSD AgVet (as they were known then) became the principal sponsor and several other companies also became involved which helped ensure the financial success of the congress. 230 delegates plus partners from 23 countries attended what was then a single stream conference. The venue was Massey University with accommodation in the university hostels, principally Egmont Court - there were a few negative mutterings about the beds in the hostels. There was tremendous support from academic and support staff, especially from Neil Bruère and Frances Allen, his secretary. Neil retired from Massey around 1987/88 and there was some difficulty in utilising the secretarial services out at the Vet School after this "changing of the guard" but Frances somehow managed to find a way to get the necessary work done. The first day was spent on a series of talks on sheep health and production worldwide and Veterinary health and production programmes in practice in New Zealand and Australia. The second day dealt with the application of new technology in reproduction and a footrot control session. Day 3 emphasized sheep feeding systems and associated problems. Both Day's 2 and 3 ended with various bus trips to outlying sheep and cattle farms in the Manawatu for practical demonstrations. The final day was devoted to the impact of diseases on production. Robert Bruce was responsible for the evening social programme and the associate's day programme and in his usual meticulous way organised an outstanding programme of entertainment. One of the associate's trips complete with packed lunch was to the Mt Bruce Nature Reserve in the Wairarapa. Robert's "instructions" with these day trips were that the wives/partners wanted to be back in good time so they could slurp a wine and have their hair done in time for the evening event. The social programme started with a traditional Maori welcome or Powhiri on the Sunday afternoon at Wharerata on the Massey University grounds which Maori prisoners from the Manawatu Prison just up the road performed. Their dress was "all sorts" but their contribution was supreme. A condition of their participation was that they have the opportunity of mingling with the delegates afterwards and partake of all the nibbles and eats! On the Monday evening there was the "Presidents Reception" at Wharerata where the sponsoring companies laid on a lavish spread complete with lone piper to keep the Brits and Scots in particular from getting homesick. On the Wednesday night there was a full Maori hangi with a pit for the cooking dug on the lawn at Wharerata. The hangi, being entirely novel to the overseas delegates, provoked much interest and clicking of cameras. Interestingly by the time of the 8th ISVC 24 years later in Rotorua commercial authentic hangis had been banned by the bureaucrats as they were deemed by OSH (Occupational Safety & Health) as too dangerous!! The hangi was followed by a dance with traditional/Dixie jazz provided by Robert's friends in the Riverside Jazz Band which all made for a grand finale. Professor David Bellamy from the UK was in NZ at the time in his role as co-director of the N.Z. Natural History Foundation and Robert secured him as the guest speaker at the conference dinner on the Tuesday night, which was held in the Convention Centre in Palmerston North. His topic was "New Zealand is a Very Special Place". I was the MC for the dinner and was so awed by him that I forgot to ask him how long would he speak for and did he want any cues etc! He spoke for 80 minutes! During this time Robert's wife breast fed her baby at the top table, the person who had been organised to propose the vote of thanks to David Bellamy drank a bottle of wine and had a sleep but woke up in time to give the vote of thanks. However the dinner turned out to be a grand affair. For the benefit of the Australians Robert read the clever and incisive poem "The Maoris Wool" by the immortal A.B. ‘Banjo' Paterson. Andrew Madel from the UK gave a magnificent and entertaining speech with a Kiwi touch - his speech notes were tied together with No. 8 fencing wire! Mrs Pauline Cooper plus friends had made corsages/sprays for all the women attending – a nice touch. Music was provided by jazz pianist Chris Dann who tinkled the ivories in the background. Pre and post-congress tours were organised. Tony Day was the guide for the pre congress tour which travelled down the North Island from Auckland to Palmerston North, visiting the tourist spots. He spoke of being very frustrated by the trivia that tourists need as they travel but also said that he wouldn't have missed it for quids! The post congress tour was a bus trip from Palmerston North to Christchurch, again via various tourist spots, Coopers Animal Health (as they were known then) vaccine production facility at Upper Hutt, a Marlborough winery and some veterinary clinics and farms. It was during this tour that some of the "senior" vets (Gareth Bath & John Plant?) decided that all future congresses MUST include a tour – this started the tradition that has continued extremely successfully right to the present day. A satellite meeting had been organised at Lincoln College (now Lincoln University). It focussed on sheep production and made use of Lincoln staff and local facilities such as the Animal Health Laboratory. Delegates stayed at a Canterbury University Hall of Residence and bussed out to Lincoln. The first meal in Christchurch was on a Sunday evening. Nothing had been arranged and there were options given. It was a warm windless evening and Joanne and I organised a Kentucky Fried Chicken meal with local fruit and NZ wine at our house (we lived about 600m from the hostel, across a park; our section backed onto the Avon River). It was a lovely informal evening. 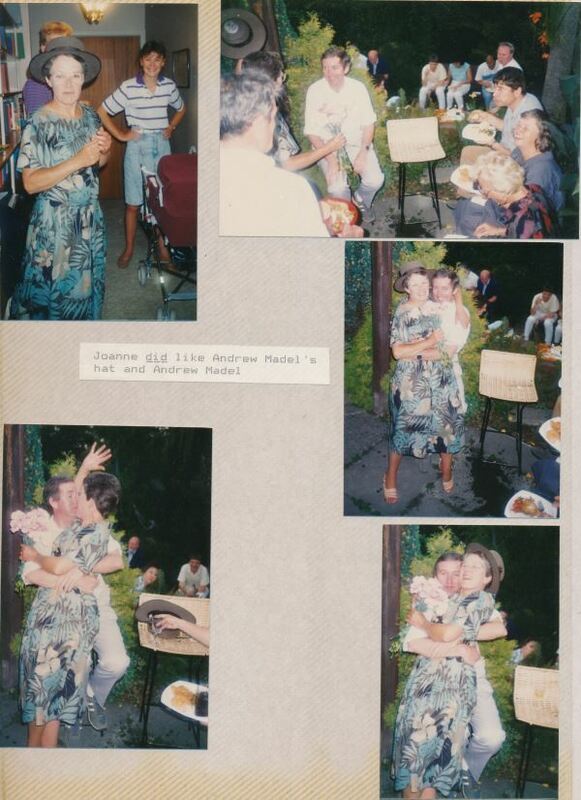 Another social function in Christchurch was at Larcombe Vineyard, then owned by vets John Thom and Julie Wagner. It was another grand evening. We also organised a theatre party to the Court Theatre (Steel Magnolias). I made very good use of the then relatively new technology of faxing to organise the conference, particularly the UK/European contingent and the associated tours. I was based at Lincoln and was very reliant on the staff at Massey. I had a battery operated bell which I used to "announce" the end of tea and lunch breaks. Its battery failed at the last break of the congress and I recall using this as a public indication that the congress was over. There were several families with young children, from different countries. The children had worked out their own common language by the end of the congress. Bob Gumbrell (Convenor) assisted by Robert Bruce.